The dip dye effect is everywhere on the high street and cat walks this Spring/ Summer, and now the trend has moved on to nail art. I saw Francis over at francisdodson try this and instantly wanted to give it a go. It is a little tricky at first and takes a bit of practice to get it right, but I love the finished look. 1. Prep by dipping the sponge in a glass of water and then squeezing out the excess so that it is left damp. 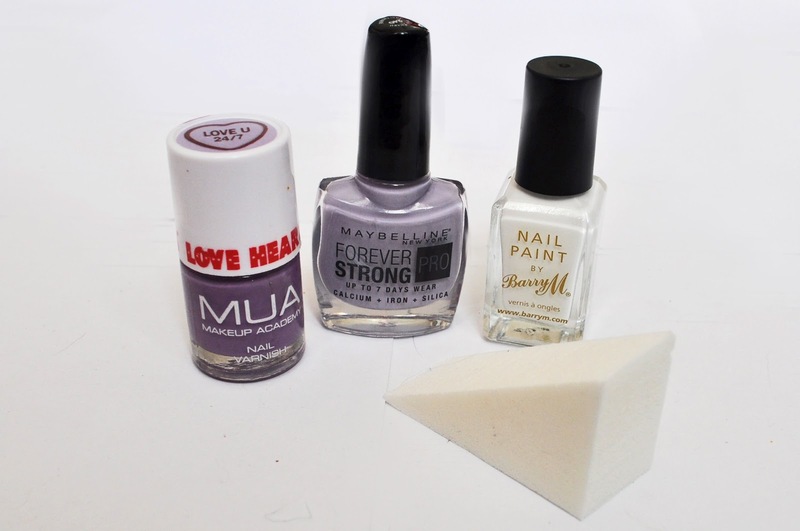 This stops the nail polish from just soaking in to the sponge. I also recommend you paint your nails with your palest shade; this will give the polishes something to adhere to and help the colours show up better. 2. 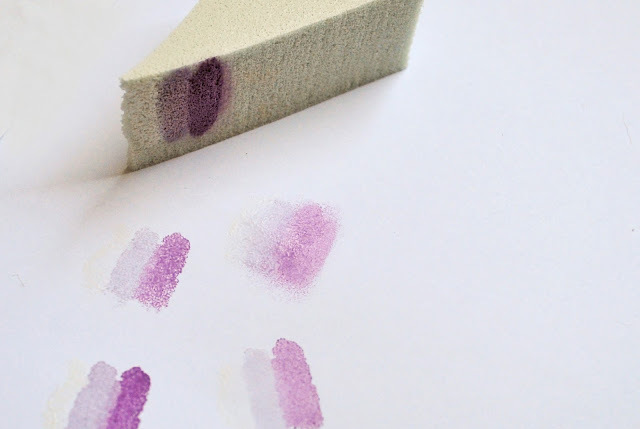 Take your damp sponge and paint stripes of each shade next to each other going from light to dark. Paint on a couple of layers of each so that it doesn't dry up too fast or soak in to the sponge. 3. Do a couple of test dabs on a piece of paper so you can see what the effect will look like. 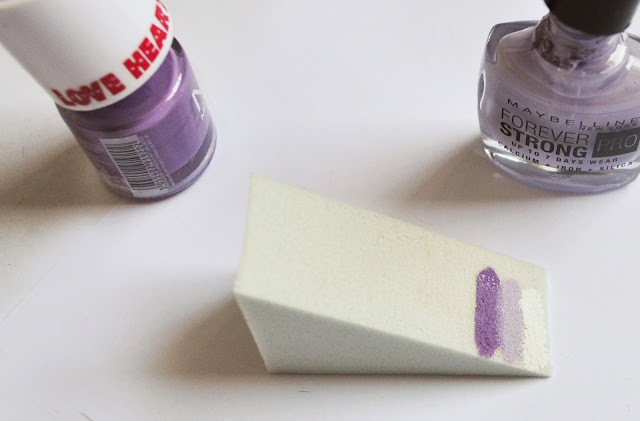 Place the sponge nail polish side down and dab it a few times in the same spot so that the colours blend in to each other. 4. Once you are happy, recoat the sponge with more nail polish and do the same thing again on your nails. It may take a lot of layering and reapplying of the nail polish to get all of your nails done. 5. You're nearly done! Now you should be left with ombre nails but also an ombre mess around the tips of your fingers. 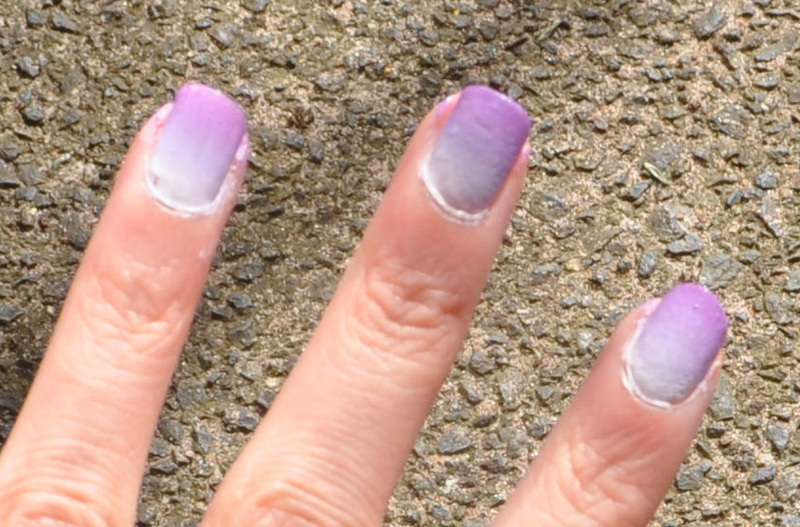 Take a cotton bud/ Q-tip with some nail polish remover on it and just tidy up the edges. 6. Wait for your nails to dry for a little bit and then apply a top coat. This will protect your design and blend the polishes in to each other further. Voila! 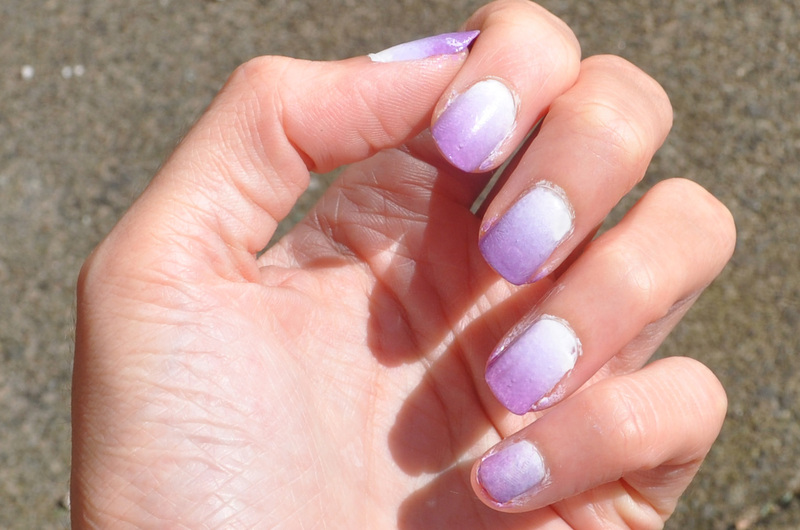 You have dip-dye effect nails that are perfect for Summer! Don't give up if it doesn't work for you the first time, it can take a bit of practice, it certainly took me a few attempts to get it right! What do you think of this look? Have you tried it? Those nails are lovely :) as always your blog i a pleasure to read. So pretty! I love looks like this on the nail - I've done green before and also silver down to black tips! I've been meaning to try Ombre nails for a while. this defintiely looks like a good technique for them! Just tried this, looks amazing!!! These nails are the epitome of perfection, I must try this someday. me. Anyωays, I'm definitely happy I found it and I'll be bοok-mаrking anԁ checκing back fгеquentlу! I would put tape around the nails to prevent to much of a mess. Review: Montagne Jeunesse Travel Pamper Pack. My Top Nail Polishes for Spring/ Summer 2012. 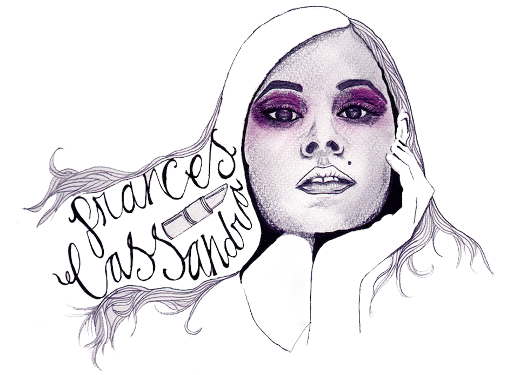 My blog has had a makeover! 500 Follower Giveaway Winner Announced!